The bride and groom tend to add their personal touches to their wedding. 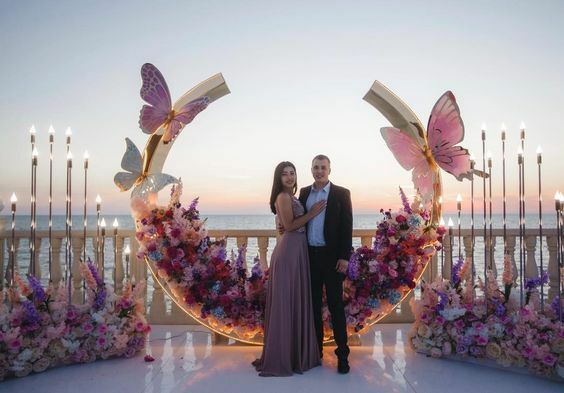 This is a collection of decorative ornaments or handcrafts or unconventional ideas that can turn a regular wedding into a festive celebration that attracts the attention of the audience and impresses them without spending much money on decorations. And the luxurious decoration to bring the same effect to the guests of the wedding, and the best that you will always keep the memory of the splendor and uniqueness of your wedding, which will always be in your memory and memory around you in the photo album wedding ceremony that commemorates that special day in your life. 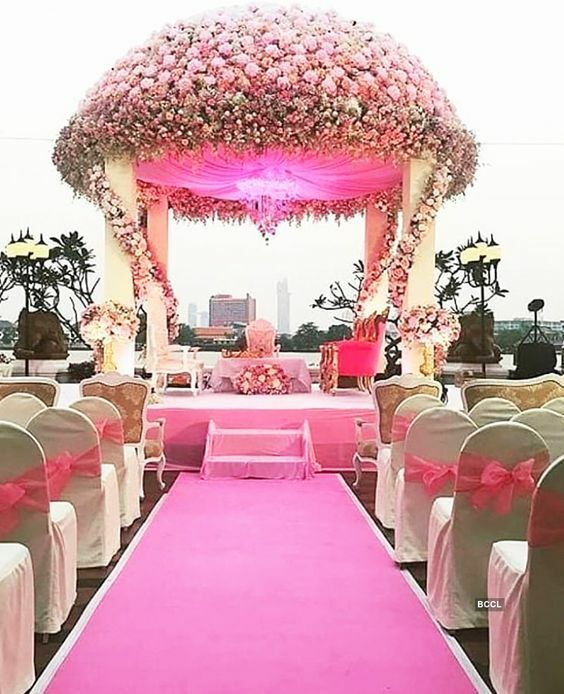 Use the flowers to decorate the path the bride will walk at the wedding ceremony and the huge structural structures that are placed on either side of the passageway to pass down the bride. 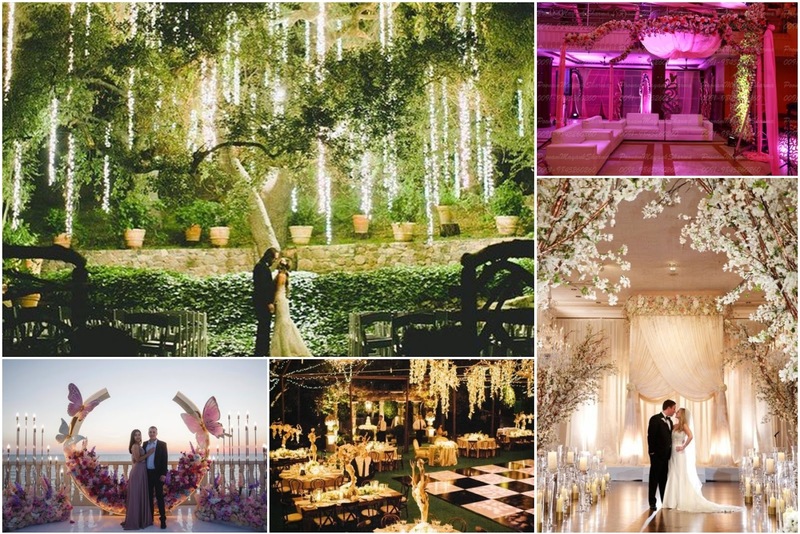 This will look like your wedding and is part of a beautiful fairy tale. Use a wide range of flowers, ornamental plants and green grass leaves to decorate the ceiling in the hall or tent where the wedding will take place so your wedding looks like a charming garden of ornamental plants and flowers. Use flowers and ornamental plants to decorate the gate leading to the wedding venue. 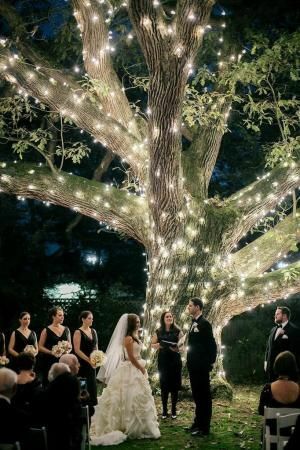 Use luminous lights and decorations to decorate the green trees surrounding the wedding venue. Set up a temporary walkway on the long swimming pool to be a walkway for the bride at the wedding and it will look like the bride was walking on the water in a dazzling scene. Use yellow, orange, red and pale green leaves to decorate the wedding hall for a gorgeous autumn wedding. Brush branches, branches of trees and small leafless trees with white paint and use them to decorate the path that the bride or wedding hall will take, so that you can have a wonderful winter wedding. Prepare a large amount of flower petals to sow in the air during the wedding ceremony. 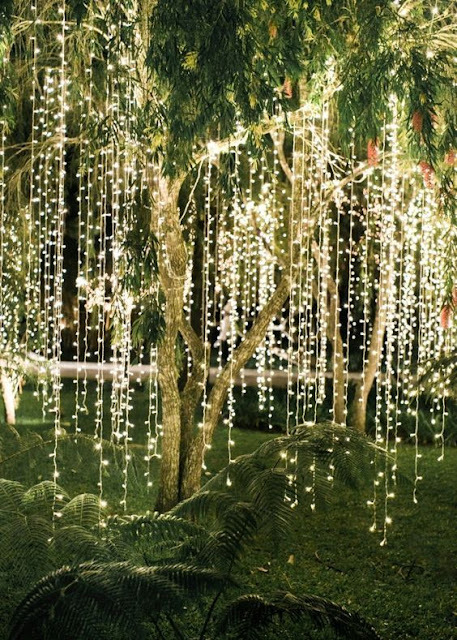 Use a device to make a snowfall effect at your wedding. 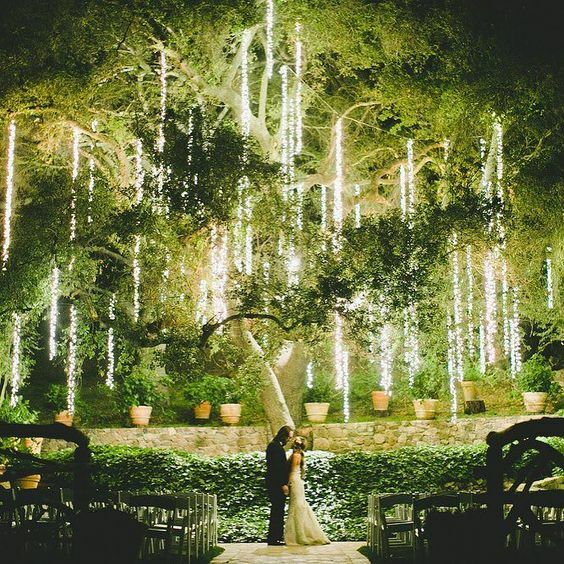 I used a huge accessory cut in the center of the wedding table in the form of a collection of long branches decorated with lights to make a dazzling effect and perfect for a wonderful reception at a winter wedding. Use soft fabrics and flowers to decorate a traditional concert hall and transform it into a dazzling venue for the reception. Surround the huge warehouse in your garden as a place for the reception after decorating it with flowers, green plants and ornamental plants. 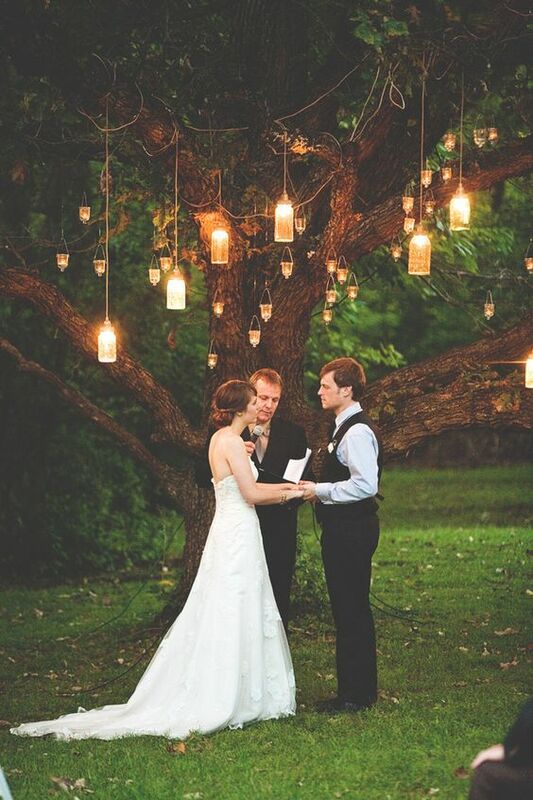 Harry Potter movie fans can transform their wedding hall into a part of Harry Potter's magical world by using a large number of hanging candles. Use green floral plants and ivy plants to decorate the reception hall at your wedding to become like an enchanted garden. 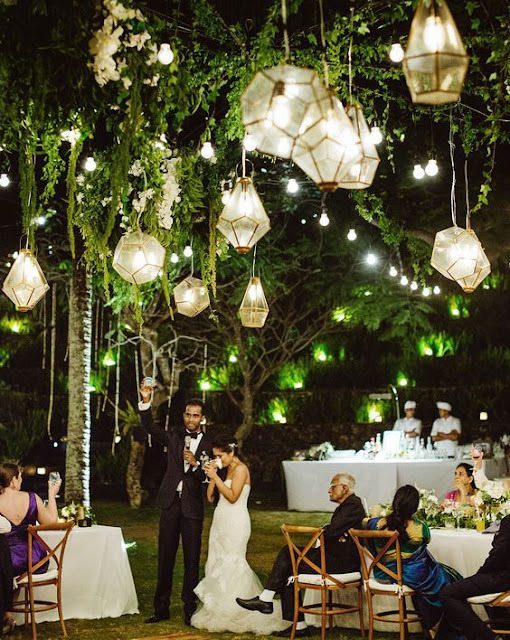 Use lanterns and luminescent lamps to decorate the ceiling of the reception hall at your wedding. Use a huge, three-dimensional accessory and put it as a decoration in the center of the wedding table, surrounded by beautiful curtains of light and soft fabrics. Use photos of the huge brides or pictures of the bridegrooms from their wedding ceremony as a decoration for the reception hall at the wedding. Use a special snow plow to do the effect of the snow during the first dance of the bride. Use a fog maker during the first dance for the bride. 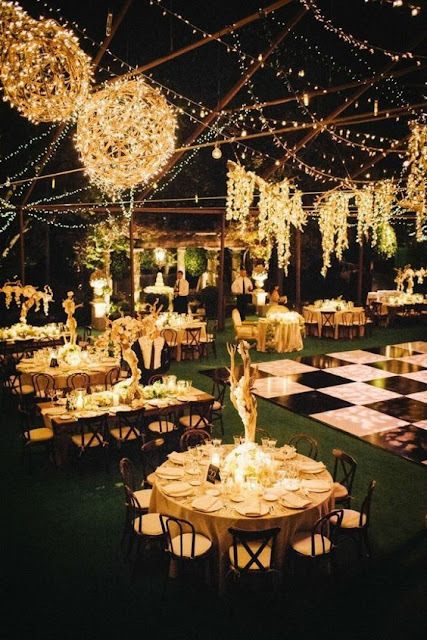 If you are considering setting up your wedding in a huge tent, you can use the lights to reflect images outside the tent in the form of moving shades. 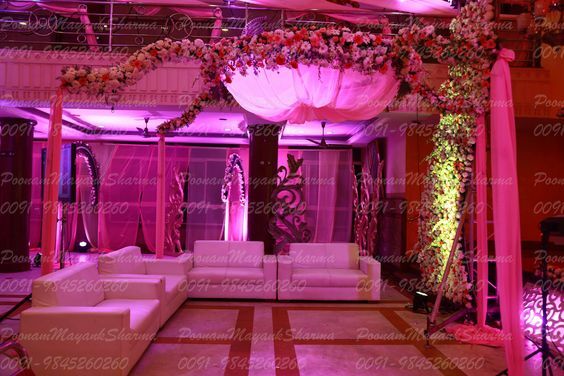 Use the lighting to reflect the pictures of flowers that decorate your wedding hall on the ceiling of the hall to appear as a dazzling photo. 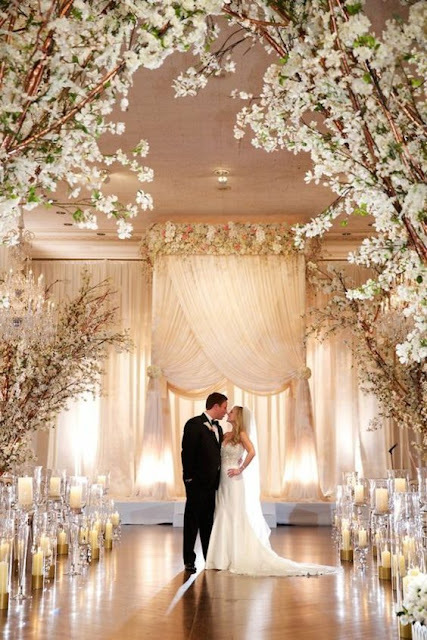 Use a photo reflector or projector to reflect the photos you choose in the wedding hall to create a dazzling effect. Use the lights in the form of bright stars to give the effect of the starry sky at your outdoor evening party. Place the seating cards used by the guests to know where they are sitting at the wedding, in the form of hanging decorations. 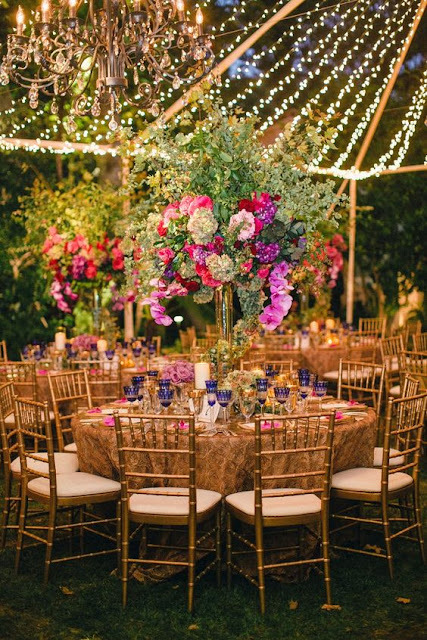 Use floral compositions hanging over wedding tables as accessory pieces for wedding table decorations. Use the huge orkid branches hanging as decorations for the long wedding table. 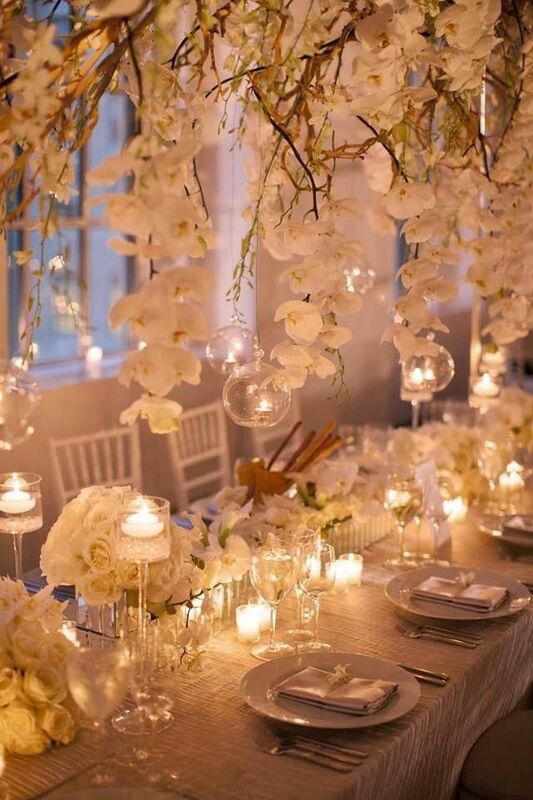 Use crystal pieces and hanging floral compositions to create a dazzling accessory piece that adorns wedding tables. Use the branches of painted and leafless trees as accessory pieces to decorate wedding tables. Use white roses to decorate each layer of your wedding cake layers multi-layer. Make your wedding cake a special section at your wedding and decorate it with floral plants and orchid branches. Firefighters burst out moments before the bride and groom leave for the wedding.